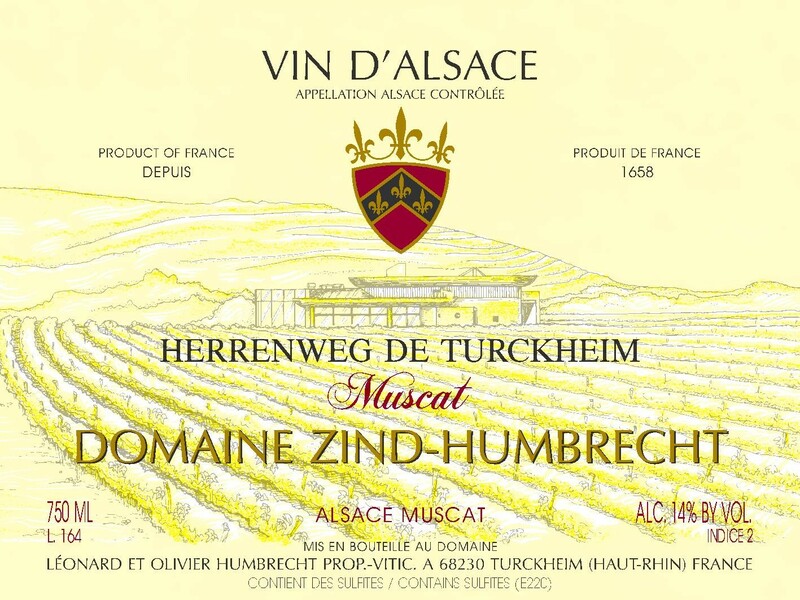 A few years ago we started planting more Muscat d’Alsace in the Herrenweg vineyard, from our old vines massal selections. Gradually, the Muscat Ottonel is now disappearing from our vineyards, as we believe that this grape variety is less and less accustomed to warmer and more precocious climate conditions. Herrenweg is located in a warm and precocious area in Turckheim. The gravelly soil drains the rain water very easily, which can sometimes accentuate the drought problems. Muscat d’Alsace (or Petit Grains) is later ripening, needs less water and most of all, is capable to retain more acids in the fruits, and this shows in the 2008! This vineyard was affected by bad weather during flowering, which caused some berries to drop. It reduced the yields and increased the maturity of this wine significantly. Fermentation as hectic, over 12 months, but eventually went far. 2/2010: the nose exhibit very profound ripe Muscat aromatics. This is not the most violent Muscat made on the estate, but probably one that suggests fabulous ripeness. The palate is rich, but before alcohol or sweetness can develop, the acidity is right there to balance everything. Very long finish and intense aromas. This wine will go very well with spicy, grilled food as well as aperitif, as the sweetness is well hidden in this wine. Quite an amazing wine!